LONDON, UNITED KINGDOM--(Marketwire - Sept. 14, 2012) - Now that Google has made it much easier for local and small businesses to verify their own Google+ Local pages, they should act quickly to maximise online visibility, which will generate increased website traffic and sales, says integrated PR, social media and search agency Punch Communications. With more consumers using Google to search for companies near them, it is important that local enterprises use every tool possible to enhance their online exposure to drive more traffic to their websites or storefronts. Google+ Local pages are a simple and effective way to do this and having a verified page strengthens the credibility of these businesses. Undertaking this simple new verification process is an important way to show potential consumers that they can trust the page they are viewing is run by the business and not a fake account. When Google+ Pages were first launched, Google was the only place a page could be verified. This was a selective process and not everyone was able to benefit from verification. To alleviate these issues, Google has made it possible for local and small businesses to verify their own Google+ Local pages so they can capitalise on the search and social benefits. Once a company has created a Google+ Local page, it can then verify the page using a combined virtual and real world process by clicking on the 'Verify' button, then confirming the company's address online and requesting a postcard. Once the postcard arrives in the mail, the business owner simply enters the PIN specified on the postcard onto Google's local verification website. "No matter their size, businesses can take advantage of the social search benefits that accompany having a Google+ Local page and having a verified page can only strengthen their online presence. Adding a '+1' button to a business' website and posting content on its Google+ Local page using relevant keywords will increase the likelihood of the business appearing in the top 10 results when a consumer searches for related services," comments Pete Goold, managing director at PR agency Punch Communications. Studies show that if a business appears in the top 10 results or first page of Google, it has an increased chance of a consumer visiting its website as only 10 per cent of users searching click on the second page. Since Google is one of the most used search engines the world over and Google+'s user base is growing each day, having a Google+ local or business page is a savvy way to target new audiences or consumers. 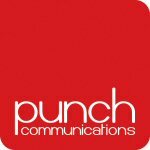 If you are looking to speak to social media agencies or SEO agencies about the benefits of Google+, contact Punch Communications on +44 (0) 1858 411 600 for more information.